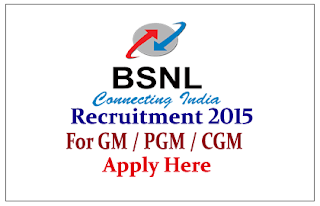 BSNL is recruiting for the post of General Manager and PGM/CGM. Interested and Eligible candidate can apply on or before 15th July 2015. 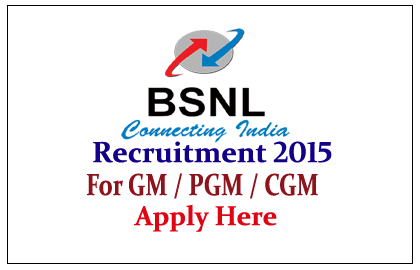 Company Profile: BSNL is India’s oldest and largest telecommunications company. It is the largest provider of fixed telephony, largest broadband services provider with more than 60% market share. BSNL is a pioneer of rural telephony in India. BSNL has recently secured 80% of the INR 25 billion Rural Telephony project of Government of India. How to Apply: Interested and eligible candidate can apply with neatly filled application with required documents to below mentioned address on or before 15.07.2015. For more details kindly check official notification.